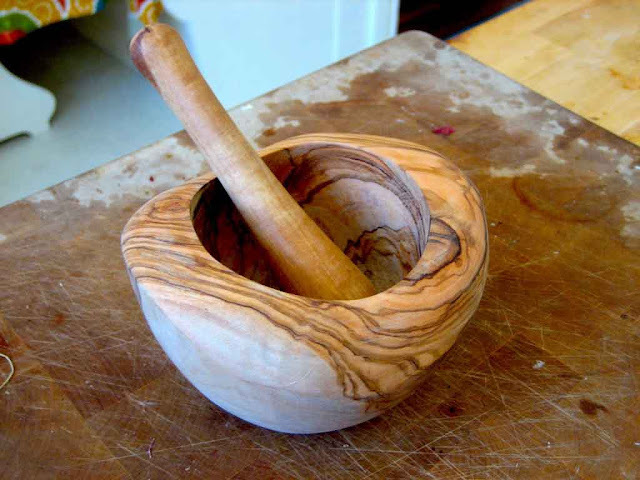 Mortar and pestle is one of the oldest tools used for grinding solid materials. 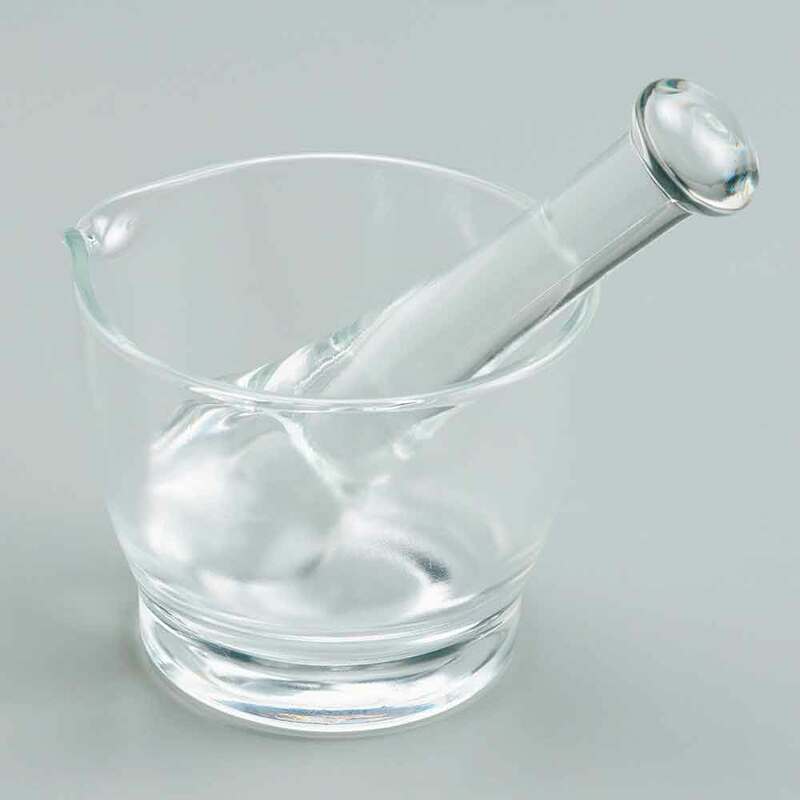 It is mainly used in cooking and medicine, and sometimes probably in some chemistry experiments. Mortar is a bowl that holds materials while pestle is little bat or stick used to crush those materials. Set is usually made of wood, ceramic or stone like granite or marble and metal. Sizes varies from small as ones that can fit into the palm of the hand to much bigger that are mainly used to grind cereals into flour. However, as pictures spoke a thousand words let see how mortar and pestle can look. 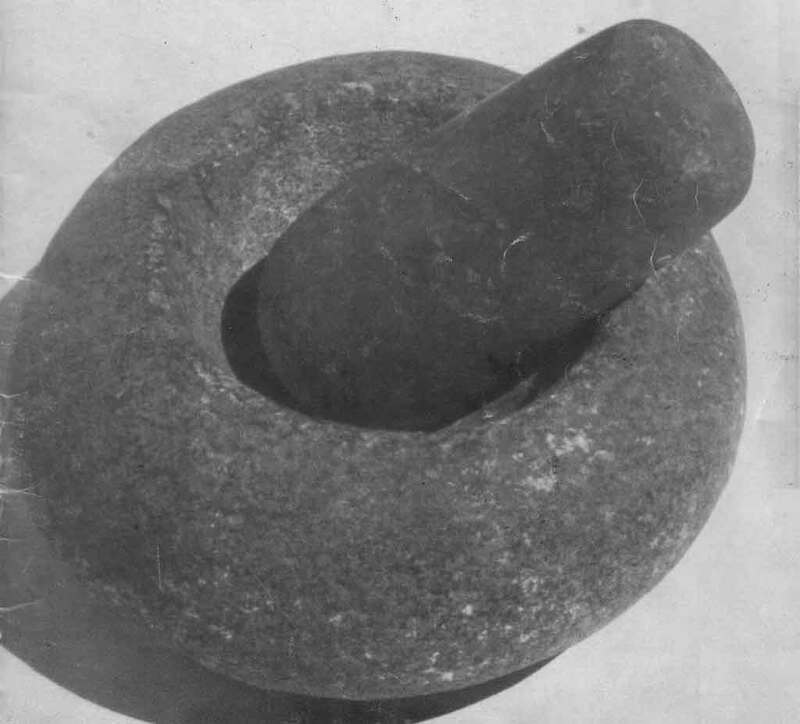 This is how mortar and pestle looked in the past. Simple stone with a hollow part and another rounded shaped stone that serve like pestle. Modern time mortar and pestle made of glass. You should be careful using this one because glass can broke if you push it too hard. 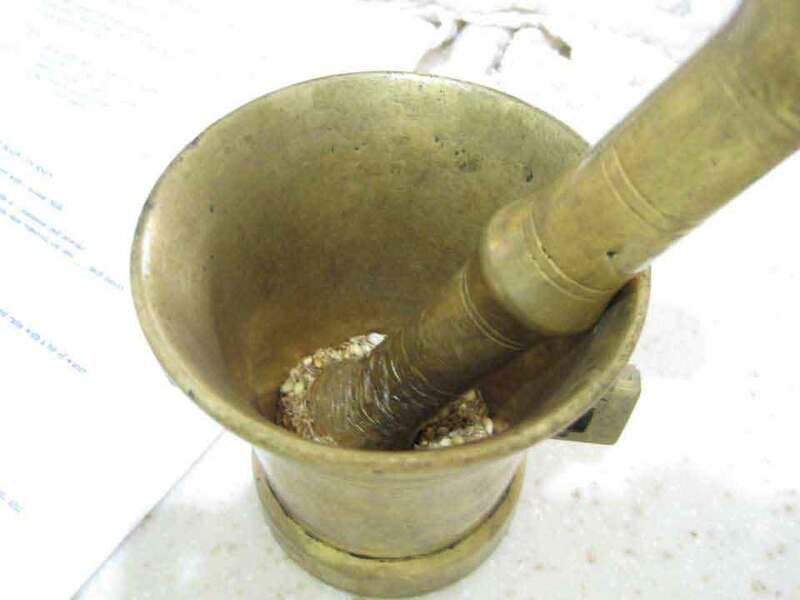 Picture of mortar and pestle made of metal that look like brass or iron. This mortar is very deep with long pestle. 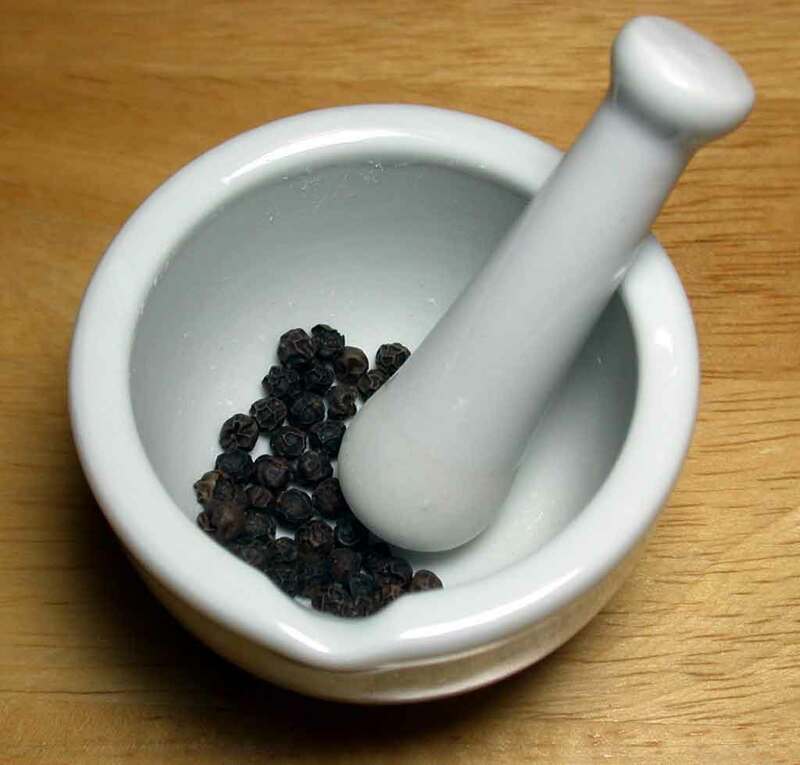 Classic mortar and pestle used in cooking, and made of ceramic. This image is example of small one. 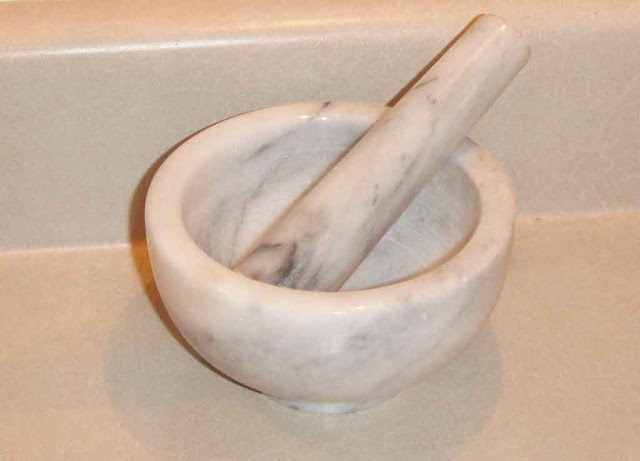 Photo of mortar and pestle made of marble. It look so nice that you can use it even like decoration in the kitchen. 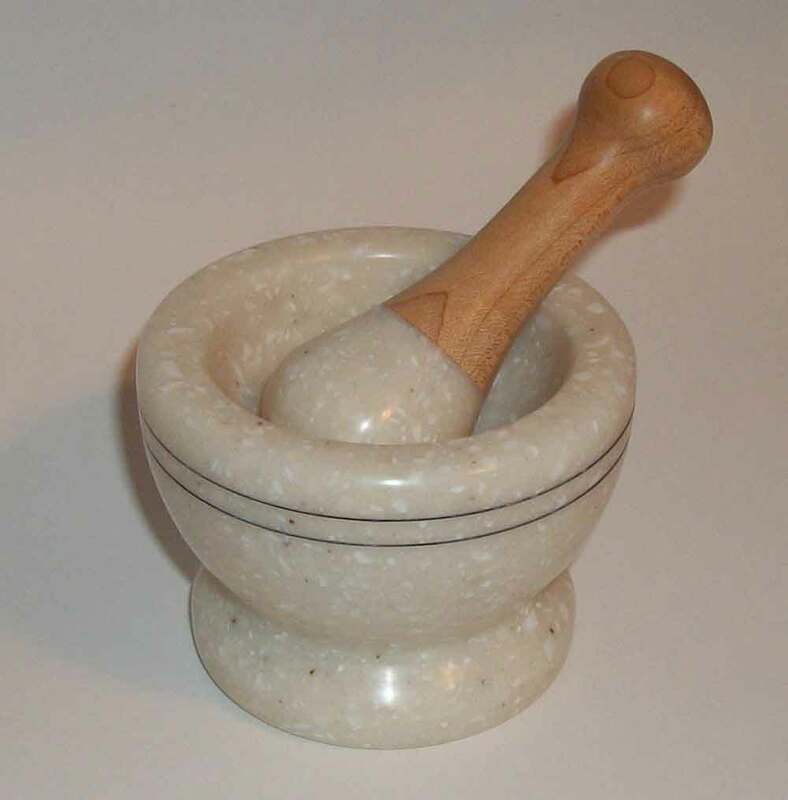 Mortar and pestle made of marble in combination of wood. Pestle handle is wood for better feel in hand. 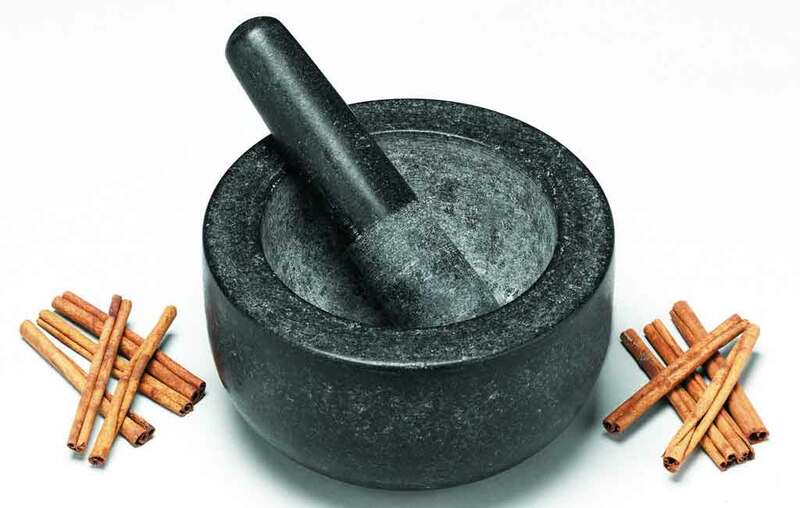 Granite mortar and pestle with some cinnamon sticks. Simple but very hard. In this one you can grind almost anything without of fear that it will broke. 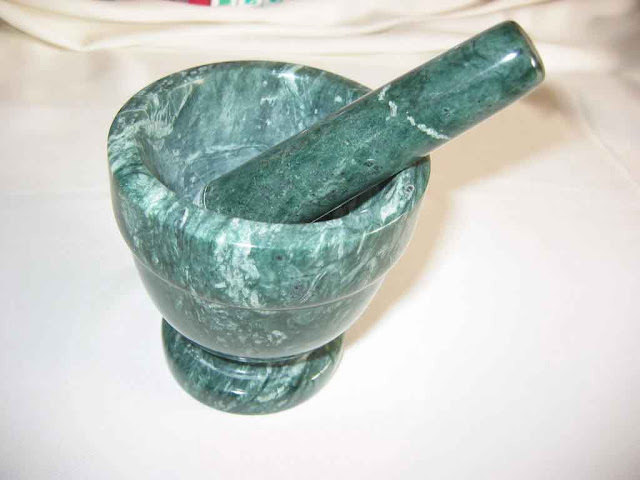 Another image of marble mortar and pestle. On this image there is example of wooden mortar and pestle. This one is made of olive wood and it looks very nice. Wooden mortars are harder to wash after grinding but wood feels much better in hand. Another picture of wooden mortar and pestle nicely decorated. This example is so nice that can be used like decoration also. 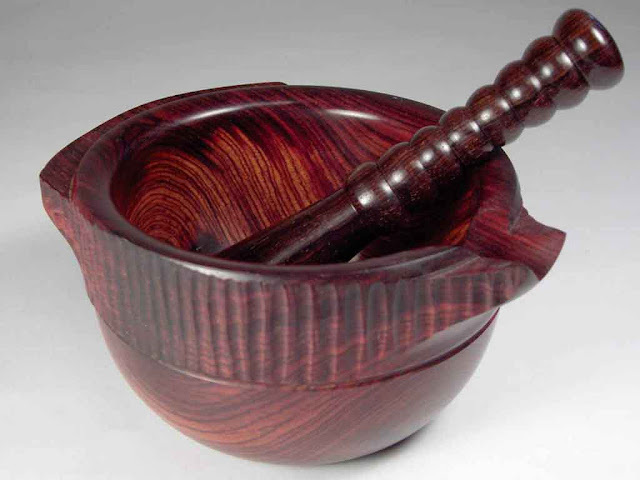 This is all for this set of images in which i presented some examples of mortar and pestle. If you liked it get one and start grinding. Cheers! Thanks for sharing information. You can buy marble imam dasta here.